Are you finding that you don’t have the right gear to head out walking or that you think your dog could benefit from a different halti or harness? Then we have some suggestions for you! Check out some of our favourite products below and let us take care of the ordering for you! Spot the Dog Walker is proud to be a supplier for DOOG and Blackdog Wear, two leading suppliers of dog walking products, with a reputation for innovation, quality and good value. Everything they design and make is driven by their desire to make a dog walk more enjoyable for everyone. Our walkers have put both DOOG and Blackdog Wear’s products to the test and we are happy to say, they pass with flying colours! Grab your first DOOG or Blackdog Wear product today and I am sure it won’t be your last. By letting us place the order for you, you will be doing your small part in making a huge difference to a rescue dog in need with $0.50 per sale going back to the good people at PAA, Clontarf. 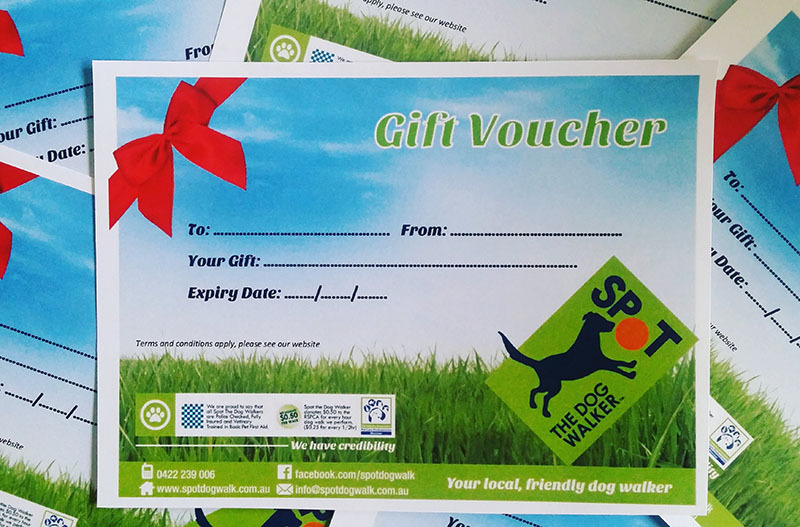 The perfect walking accessory or training tool, a great gift idea and a wonderful way to contribute to the amazing work at Peninsula Animal Aid ( “PAA”).